The world of software development is evolving at a breakneck speed. Agile development methods, IoT-connected products, faster computers and more advanced embedded technology are fundamentally transforming the way software is developed. However, one of the greatest changes that have shaped the way software is built in recent years wasn’t something technological or methodological. It was a cultural shift towards better quality products. The importance of software quality is growing steadily and significantly as the role of software increases in all sorts of products. Hardware devices are increasingly serviced by software systems. Therefore, manufacturers that aim to create good quality devices are forced to accumulate software development knowledge, and especially a reliable know-how on software quality assurance and testing. Various techniques are used to increase and ensure the quality and reliability of software products during development. Different methodologies and frameworks use different processes, and developers have also started combining techniques to get the best of multiple frameworks: pair programming & code reviews, automated testing, but even risk management and requirements-based testing are all building blocks of a solid quality culture in an organization. 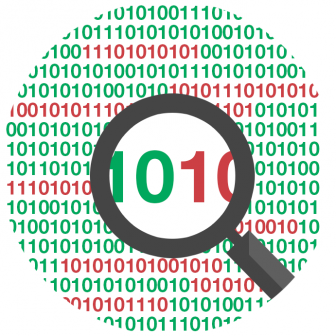 This post investigates how one method referred to as code coverage analysis can help you better your QA & testing activities. As one of the components of test-focused software development, code coverage analysis is a process that helps you determine testing completeness, or whether all parts of the source code have been executed by a test procedure. It also helps identify any extra code that isn’t necessary for the application to perform its intended purpose. If there’s extra code lingering around in your application, that could mean unnecessary risk. Code coverage is measured as the percentage of the application’s source code that has been executed (covered) by testing activities. For instance, if an application has 80% code coverage, that means 80% of its code has been executed during testing – consequently, that 80% should not contain bugs or malfunctioning code any more, since it has already been adequately tested. This means a higher level of reliability than if only 30% of the code is tested before release. However, that doesn’t necessarily mean that the higher the code coverage, the better quality the end product is. Creating unnecessary test cases to bump up code coverage numbers is not unheard of. Consequently, measuring how much of the application’s code has been tested is just part of the reason coverage analysis is so helpful in ensuring software product quality. It’s not only the extent, but also the scope of coverage that matters: what features of the application have been tested? This, however, takes us away from code coverage and into the area of requirements coverage analysis. Functional testing, and the subsequent requirements test coverage analysis can answer this question. Functional testing takes certain features of the application, and tests these features without looking at the code itself. This gives you an indirect indicator that the code should be OK. During the subsequent requirements coverage analysis, the requirements of these features will be marked as covered by test cases. Developers are using advanced tools to achieve gapless traceability and to help them execute code and requirements coverage analysis. codeBeamer ALM offers a built-in requirements Test Coverage Browser to analyze the completeness of functional testing, and its xUnit Jenkins plugin lets you know what percentage of the application’s code has been tested. Code base will be easier to maintain (the code you’re writing may be used for a long time as the application is extended, so adequate testing greatly reduces the effort needed to ensure code quality as more features get added to the application later on). To find out more about codeBeamer’s capabilities around QA, testing, and coverage analysis, drop us a line with your questions, or start your free 30-day trial today.